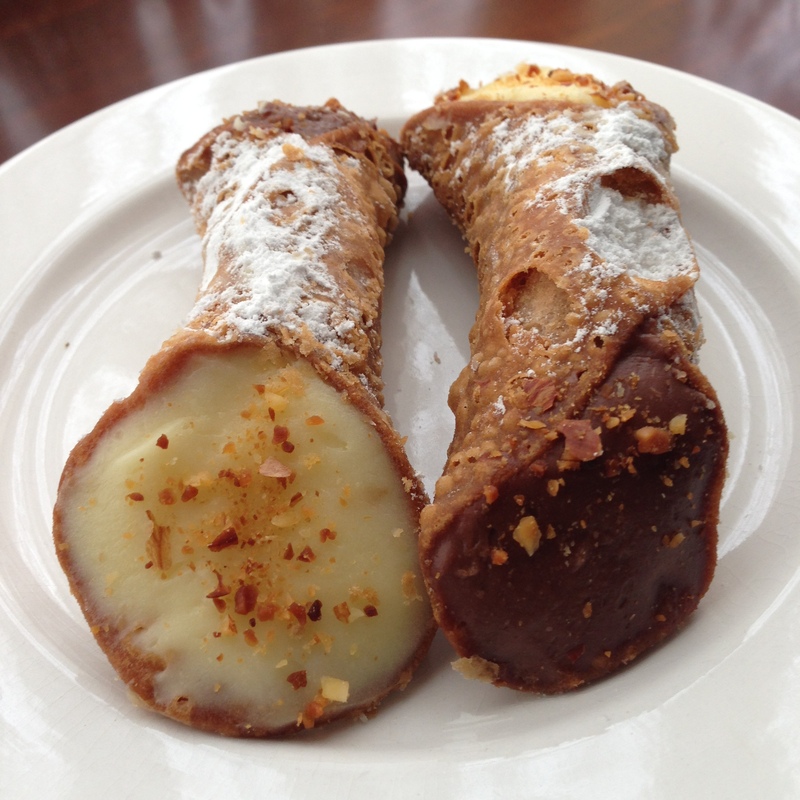 This Footscray institution has been on my to do list forever, which is pretty shameful given I’m a cannoli loving Italian girl, but better late than never I say! Now I’m not going to beat around the bush with this review because I’m way too excited. Why you say? 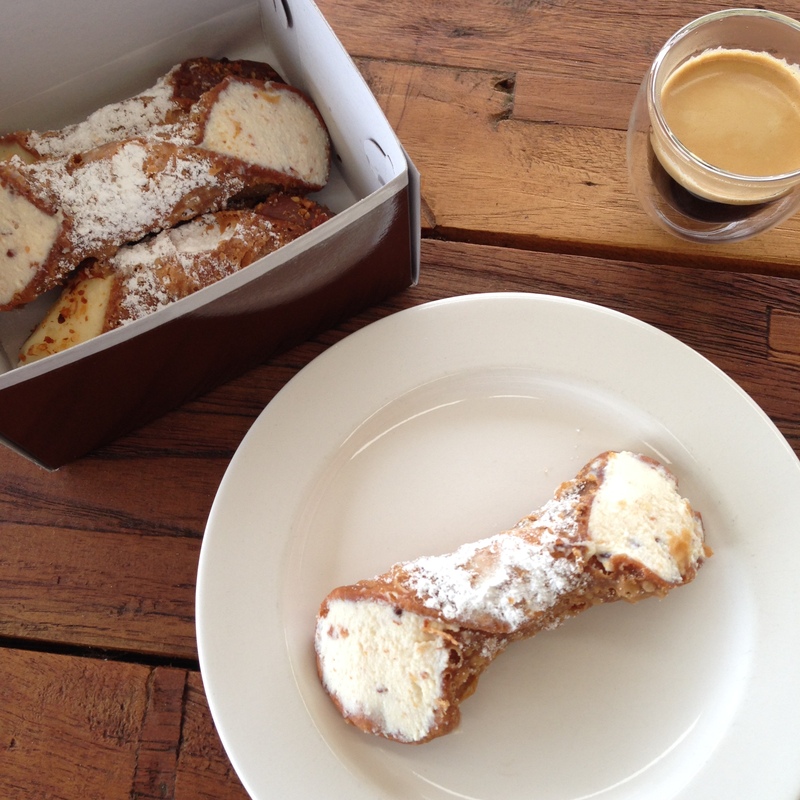 Because these were seriously the BEST (like amazeballs) cannoli I’ve consumed outside of Sicily! Big call? Absolutely given my grandmother was the Cannoli queen (of course I’m biased, but her custard filling was second to none), but despite how good my grandmothers cannoli were, those ricotta cannoli from T Cavallaro and Sons were on another level. I downed two of them in a matter of minutes and if I had brought more, I probably would have eaten them too. So why were they so good? Firstly because the shells were impeccable. I often think this is where others fall short with their undercooked, soft and tasteless shells but this wasn’t the case here, they were crispy, flaky and just down right delicious. Secondly because the ricotta filling was divine. It had a soft and creamy consistency (no clumpy bits in sight) and was seasoned with just the right amount of sugar and cinnamon. They also earn extra points for omitting those horrid bits of dried fruit that so many people include in their ricotta mixture. It’s so unnecessary and I was wrapped that there wasn’t any of it in site here. If these cannoli weren’t good enough, they were finished off with a light dusting of icing sugar, which took them from delicious to, well, even more delicious. I also tried the custard cannoli and don’t get me wrong, they were good, but the ricotta version blew my socks off and it was hard for anything else to compete with them. In terms of logistics, I made the mistake of visiting on a Sunday at midday, when Hopkins Street was absolutely chockers and there weren’t any free parking spots within a 1km radius. But I was a woman on a mission, so I parked a good 10 minutes away and hiked it down to the little shop opposite the Footscray Market. Finding T Cavallaro and Sons is literally like looking for a needle in a haystack. It’s such a little shop and is surrounded by all manner of Asian goodness (some of the best Asian food has been consumed on the streets of Footscray), that I almost walked straight past it. Had I not noticed the window filled with cafetieres I’m pretty sure I wouldn’t have found it. Once inside the charming little shop, I felt like I’d taken a step back in time to the pasticcerias of yesteryear and you know what? I loved every bit of it, right down to the sugared almonds. So I’ll finish just as I started, by saying that these cannoli were the bomb, now go forth and experience the best this city has to offer.